The progress Eagle has three decks with seating for 800 people. 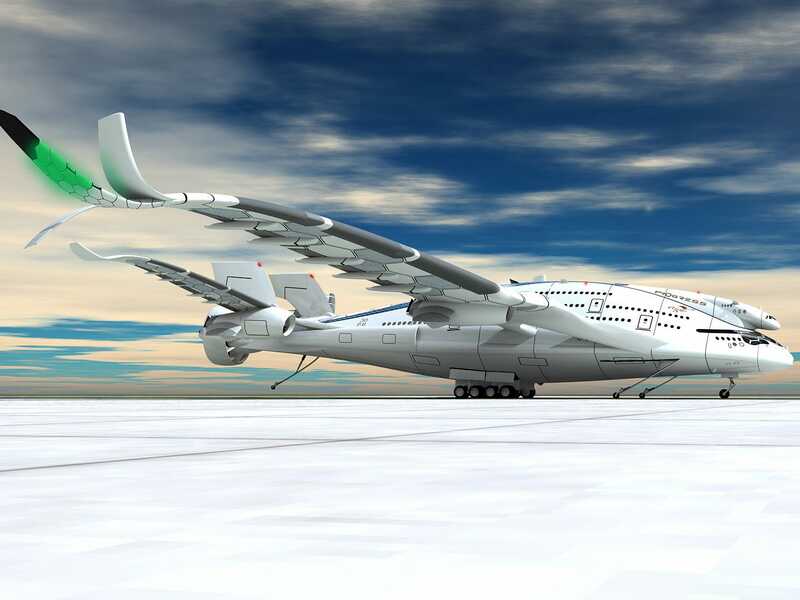 It’s a triple-decked, eco-friendly, hybrid jet airliner that would its 800 seats into the air with six hydrogen fuel engines and keep them there with its rear electric wind generators for sustained flight. It’s engineering makes it 75% quieter than today’s aircraft. 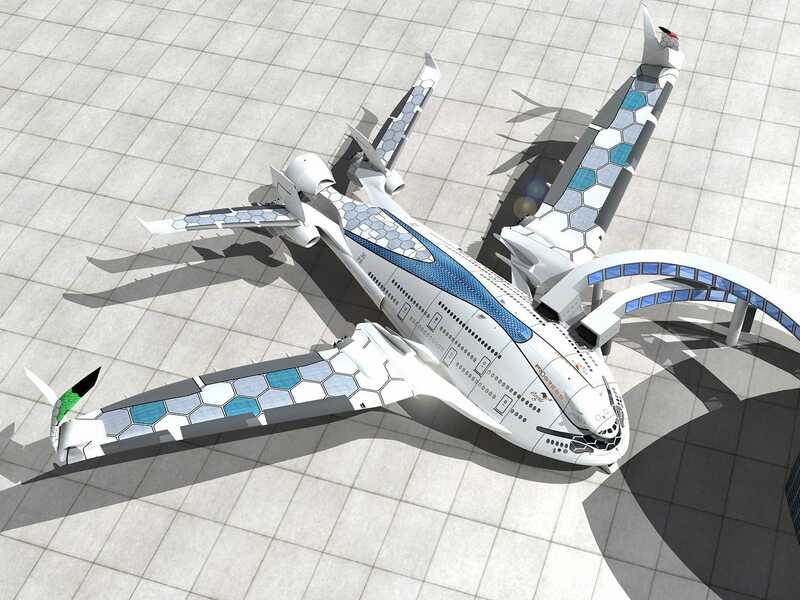 Solar panels on the roof of the plane would absorb solar energy and clever engineering would reduce drag as well as the sound of the plane flying through the air by 75%, according to Viñals. 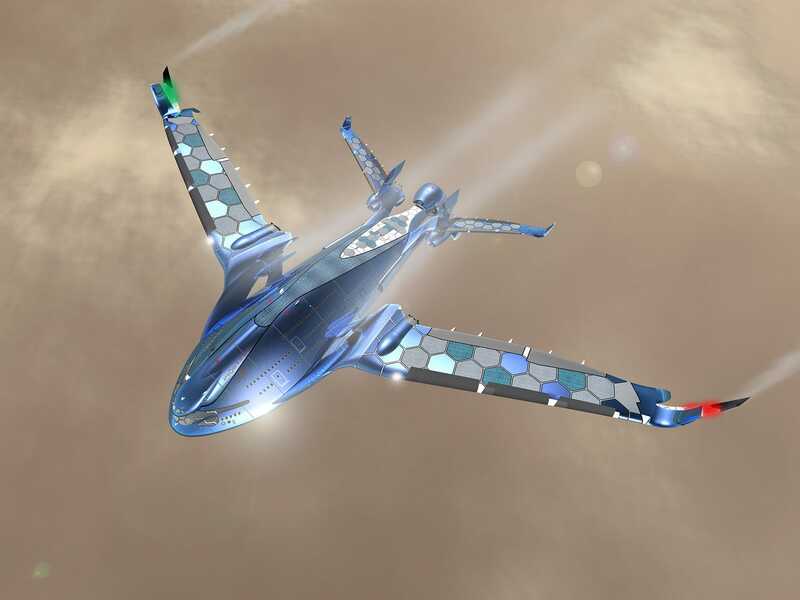 Materials like carbon fiber, graphene, ceramic, aluminum, titanium, and a shape-memory alloy would increase efficiency by making the plane lighter. The Eagle would be larger than even the largest planes today. Its wingspan measures an impressive 315 feet, besting even the largest wingspan flying today — the Airbus A380’s 262 feet wingspan. Fortunately, the Eagle’s slim-yet-ginormous wings would fold up for taxi and storage. It’s 315-foot wingspan folds in three sections for taxi and storage. But the adjustments to your flying experience don’t end there. The plane would also makes room for a new class of cabin, “pilot’s class.” This seating class would faces right out the front window of the plane for a spectacular(ly terrifying) view. 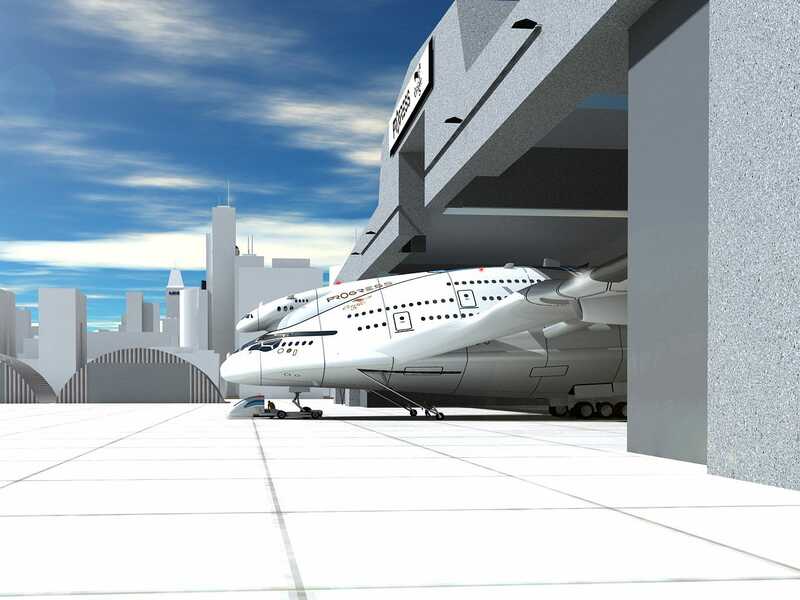 The Eagle is a futuristic airliner design — so futuristic that the technology for all of its advancements hasn’t even been invented yet — and likely wouldn’t be feasible until at least the middle of the century. Check out more renderings of the concept below. 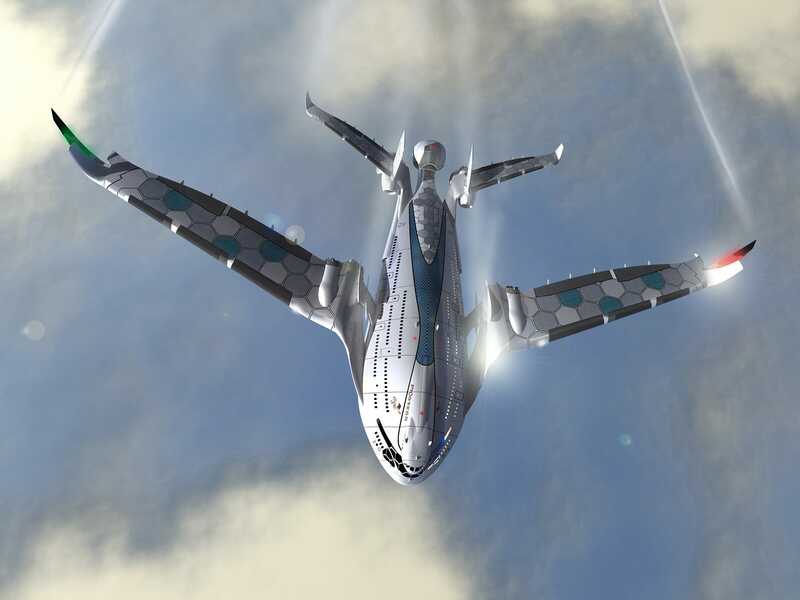 Hydrogen-powered engines are used to generate enough thrust for takeoff. The power then shifts to self-sustaining wind turbines. 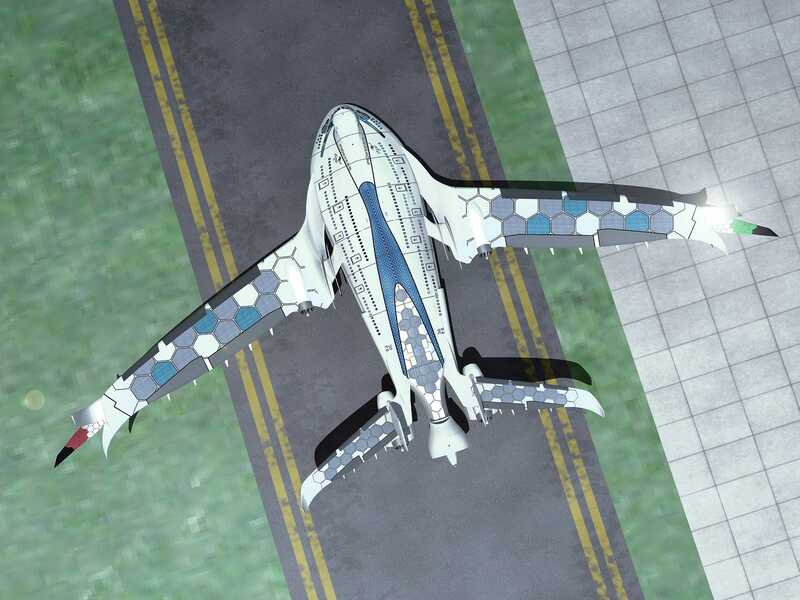 Solar panels on the wings and roof of the craft provide additional power. A “pilot’s class” allows customers to have a pilot’s view from their seats.